Good Morning Readers! Welcome to another Freebie Friday! This might feel like deja vu, and in a way it is. 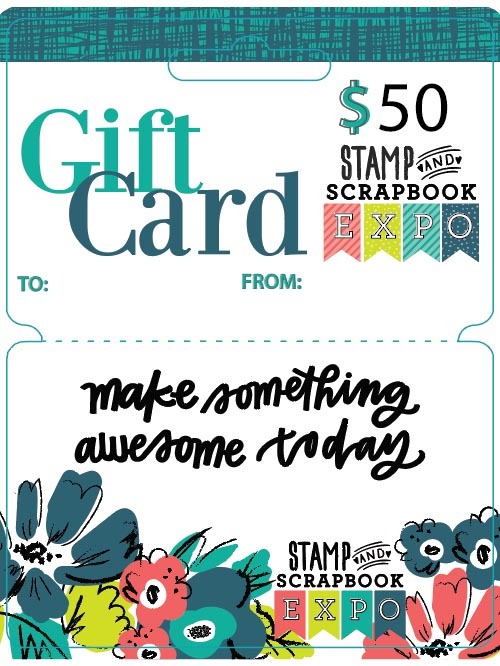 Today we are offering another $50 Gift Certificate for Stamp & Scrapbook Expo! This weekend we are wrapping up 2018, but if you would like to print out a schedule for 2019, here is the link to download a printable file. 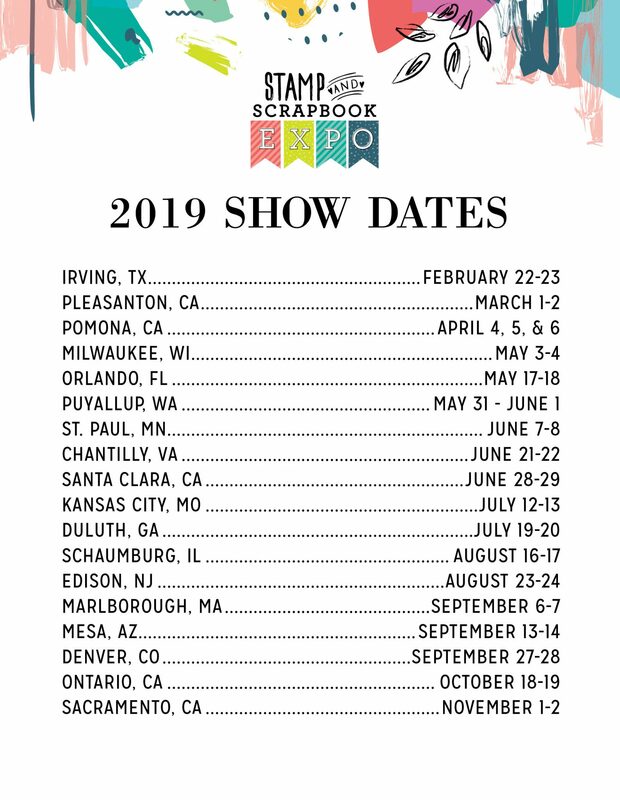 Start planning your crafting weekends for 2019 now! Last week Altenew sponsored our Freebie Friday giveaway. The winner of that prize is…..
Congratulations! 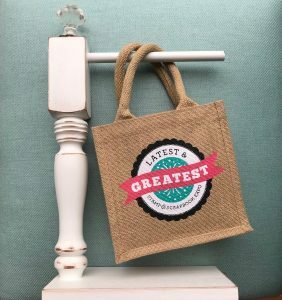 Please email diana@scrapbookexpo.com with “AltenewFreebie Friday Winner” in the subject line. 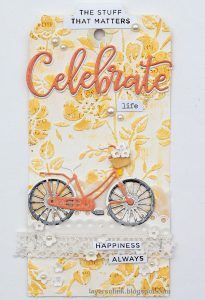 This entry was posted in Freebie Friday and tagged Card making, card swap, crafting, crop parties, Crops, DIY, events, Scrapbooking, Stamp & Scrapbook Expo, Stamping, workshops. I went to the Expo last year for the first time ever in the spring. I had so much fun there that I went again in August and brought my mom! Counting down the days until the Irving Expo. A gift certificate would be a fantastic gift!! My granddaughter & I have made the Expo in Duluth an annual outing together. I would give the gift card to her because she is saving for college. She enjoys making crafts as gifts for her friends. I have been to the Expos twice and it gets better each time. Love the classes! Hope to add a crop next time! Couldn’t afford to go in 2018. Really missed it. This would give me a good start for 2019. Am determined to make it next year! Would sure love to win! I’m looking forward to June, not only the end of winter, but THE EXPO!!!!!! 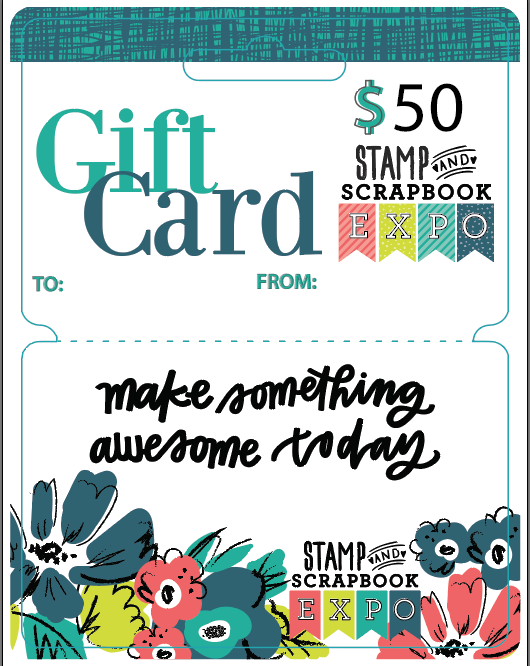 Looking forward to the expo & would love to win the gift card as I have a very small craft budget w 2 growing kids I need to scrap about…. 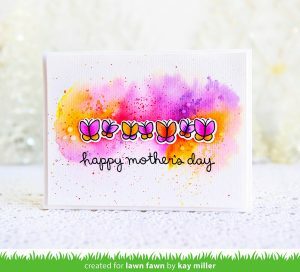 I’m a stamper who makes cards and tags. Have never attended one of your conventions but hope to go to Pleasanton next March. I am disabled and need to use a walker with wheels and a seat. Are they allowed at your shows? I love the scrapbookexpo. I’ve been going to the Chantilly one for the last 4-5 years and really enjoy it. I take a lot of classes and buy a lot of product. Would so love this freebie!!! Having an extra $50 to “play with” would be divine! I love going to the Expo with my PIC April. We have been going twice a year for a few years now. We go to the Ontario expo and the Anaheim/Pomona expo. Can’t wait until April to go again!! I would love to win this prize, this would help me to be able to go to my first Scrapbook Expo! Can’t wait for the Milwaukee show! I have attended the expo for several years now. It’s always so much fun! I love the Expo, I have attended Duluth the last 4 years, plan to attend again this year! I always have a blast. Can’t wait for the Sacramento expo, already planning the trip. 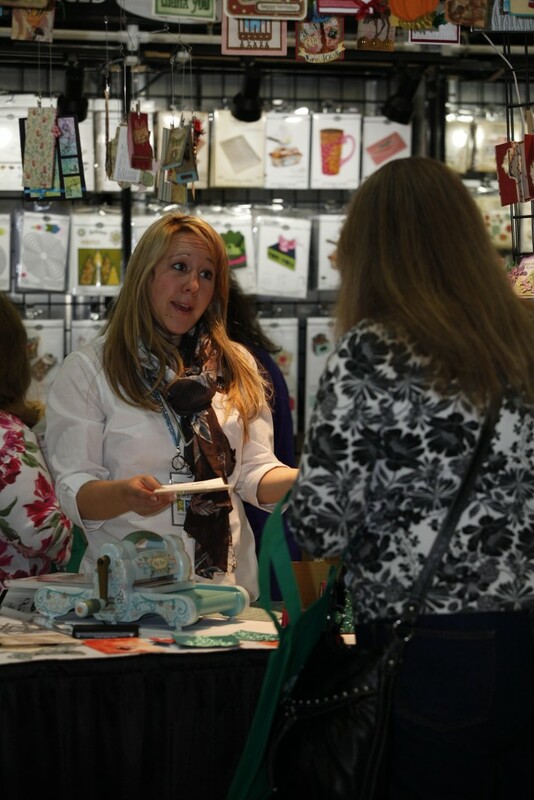 I love Scrapbook Expo. Every year, I stay longer and do more. It started with a couple hour visit to Schaumburg, then a full day of shopping the next year, then a full day with a workshop….this year I went the entire weekend in Milwaukee and did the Mega make n take, a card swap, three classes and tons of shopping as well as an entire weekend at Schaumburg with multiple classes and shopping. In 2019 I’m doing both shows, the crop, Mega make n take, tons of classes and maybe even volunteering if I can fit that in. I would love to win a gift card for next year. 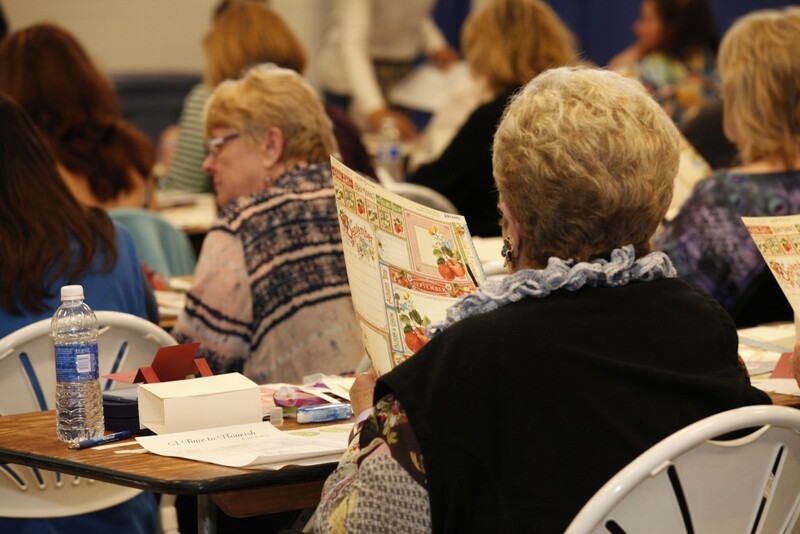 Hopefully there will be more Scrapbooking classes offered in Kansas City next summer. It was a little disappointing to see that most of the awesome classes offered at the earlier shows weren’t available in KC. Went to the Expo for the first time in 2018 and LOVED every minute!! Can’t wait to go back in 2019!! I would love to win! That would mean I could go to Pleasanton for all 3 days instead of just 2. That would be fantastic! The expos are my happy place and scrapbooking my therapy!!!! Thank you for these wonderful events!!! I attend the Pomona and Ontario expos. Do the Make n Take crop. Spend the next day shopping and visit with friends, I’ve met by attending the Expos. I am looking forward to my first expo! Im glad i live close by so i wont have to sleep over.